Regulating the flow or dosage of any medication is as important as the treatment itself as a slight change in the dosage or the flow can create complications for the patient. The same goes for oxygen. Not enough oxygen means difficulty breathing and excessive oxygen can lead to oxygen poisoning, causing complications in the respiratory system. To control the flow of oxygen one consumes from the concentrator, regulators come into play. What is an Oxygen Regulator and How does it Work? Oxygen regulators are devices that can to adjust the liter flow of oxygen from 1-25 liters per minute, depending on the amount prescribed and the device you are using. Regulators for children are specialized to regulate between 1-32 litres and they come in small doses. In common language, an oxygen regulator regulates the flow of oxygen from the tank so that the right amount of oxygen is delivered to the patient. An oxygen conserving regulator helps your oxygen tank last about 5 times longer than a continuous oxygen regulator at the same flow rate. A pulse dose of oxygen is given to the patient only when the patient breathes. The oxygen conserving regulators only give out oxygen when they are initiated by the patient. The problem with these types of regulators is that if the patient breathes through the mouth or does not take a deep breath, the device won’t work and the dose of oxygen won’t be delivered. Most oxygen conserving regulators are highly sensitive, but there are situations where the patient requires a continuous flow regulator. These regulators are fixed on the top of the oxygen tank and their dial allows the patient to adjust the oxygen flow. These regulators allow a continuous flow of oxygen thus emptying the oxygen tank faster depending on the amount of intake and the frequency of usage. How to Use an Oxygen Regulator? Though an oxygen regulator looks like a fairly complex device, it is very easy to use following some basic steps. 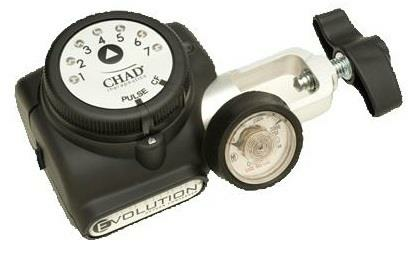 Make sure that the regulator you choose has the correct flow rate prescribed. Make sure that the flow selector on top of the concentrator or cylinder is set to zero. Firmly place the regulator above the cylinder or in the case of a concentrator in the shrader, and wait until you hear a clicking sound which ensures it is locked in place. Switch on the concetrator or slowly open the valve of the cylinder to let the oxygen flow. 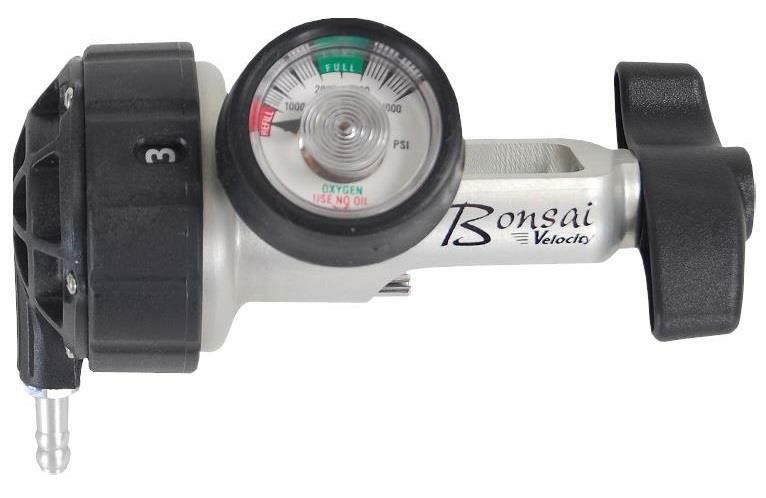 Drive Chad Bonsai Velocity Pneumatic Oxygen Conserver is designed for use with a cylinder as an ambulatory oxygen system. It is capable of delivering a precise amount of oxygen at the optimal point in the breathing cycle. It increases the efficiency in the delivery of oxygen, maximizing the beneficial effects and eliminating unnecessary oxygen waste. Drive SmartDose Mini Auto Adjusting Oxygen Conserver senses the patient's breathing rate and turns the oxygen flow up and down as needed, within seconds. It is intended as a delivery device for medical-grade oxygen from high-pressure oxygen cylinders. This is an ambulatory device, which allows patients to ambulate longer than they would with a continuous flow regulator on the same cylinder. Optimizes both patient saturations and oxygen conservation. 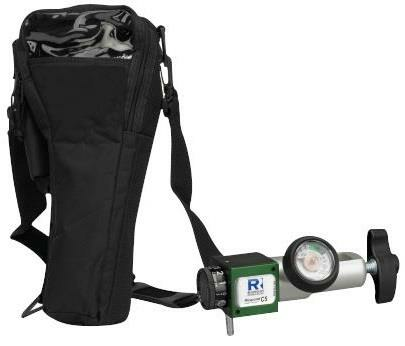 Drive Chad Evolution Electronic Oxygen Conserver is built for use as part of a portable ambulatory oxygen system for the purpose of facilitating long-term oxygen therapy (LTOT). It provides mobile LTOT patients with an extended operating time of their mobile system. It includes a combination of a low-pressure regulator and an oxygen conserver and is capable of delivering a precise amount of supplemental oxygen at the optimal point in the breathing cycle. 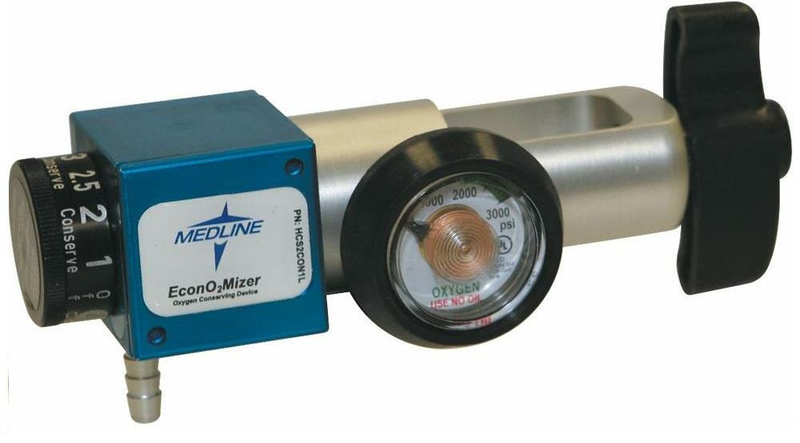 This Medline Oxygen Conserver is a lightweight and compact unit with the greatest number of settings for continuous and conserving flows. 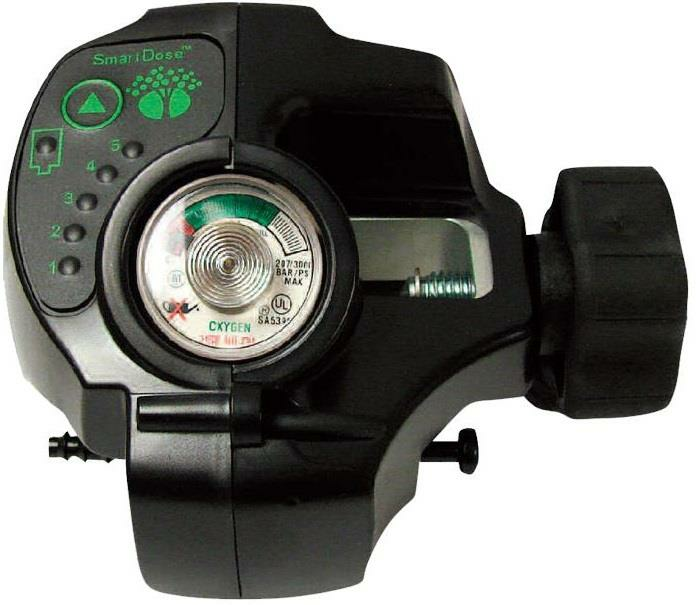 Featuring a color-coded selector knob (green for conserve, white for continuous) makes it easier to identify what setting is selected, and this can help oxygen tanks last longer. A high-pressure oxygen regulator and conserving device the C5 Single Lumen Conserver is combined into a single compact unit. Operating in the same manner as traditional oxygen pressure regulators it has the added benefit of having a conserving device included. It is designed for use by an ambulatory patient with a high-pressure oxygen cylinder. Since the Respond C5 requires no electrical (battery) power source, it is a reliable and easy to use the device. Choosing the right oxygen regulator can go a long way in ensuring the perfect administration of oxygen therapy to a patient. A small mistake in the dosage or the flow can result in sever complications therefore, choosing the right oxygen regualtor is critical.